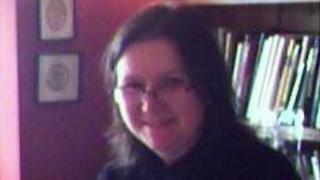 A British woman who was among 23 people killed in shootings at a museum in Tunis on Wednesday has been named as Sally Adey. Mrs Adey, 57, from Shropshire, was a "much-loved daughter, wife and mother" and her family are "devastated by her loss", a close family friend said. Nine people have been arrested after the attack at the Bardo Museum. Islamic State militants have said they were behind the attack on the museum, which also left the two gunmen dead. The victims included a Tunisian police officer and tourists from Japan, Italy, Colombia, Australia, Spain, France and Poland. Mrs Adey had been on a cruise of the Mediterranean with her husband, Robert, and were on an excursion to the museum, in Tunisia. In a statement issued on behalf of the family, Julia Holden, a close friend and partner at Shakespeares Solicitors - where Mr Adey is also listed as a partner - said: "The family are devastated by her loss. "They are also saddened for others who have lost people they love, and for those who have been hurt." Prime Minister David Cameron condemned the "appalling and brutal" attack and said the government was doing all it could to help Mrs Adey's family. Labour leader Ed Miliband said his thoughts and "deep condolences" were with Mrs Adey , calling the attack a "despicable act of terrorism". UK Foreign Secretary Philip Hammond said Mrs Adey had died in the "cowardly terrorist attack". Media captionDavid Cameron: "Attacks were appalling and brutal outrage"
The couple were among 79 UK passengers - as well as 10 from the Republic of Ireland - aboard the Splendida cruise ship, MSC Cruises said. The firm said it had suspended stops in Tunis. Mr Adey was receiving support from the MSC customer care team in Tunis, the firm added. A neighbour of Mr and Mrs Adey in Caynton, Shropshire, said the couple had made a last minute decision to book tickets for the cruise. Terry Holmes, a neighbour and friend, told the BBC: "She was a very nice person, very homely. We are struggling with the news at this time." David Crawshaw, a neighbour for more than a decade, said the couple had two children - both in their early 20s - and were a "fine, hard-working family". Tunisian Prime Minister Habib Essid has said one of the two gunmen involved in the deadly attack was known to security services. Speaking to a French radio station, Mr Essid said that while Yassine Laabidi had been flagged up, nothing specific was known about him or whether he had any links to known militant groups. The other gunman has been named as Hatem Khachnaoui. Tunisia's Culture Minister, Latifa Lakhdar, told reporters that the museum would reopen to the public early next week. Mr Cameron said the attack was "the latest example of extremist terror". "We have to fight it with everything we have: whether that is taking the poison out of young minds here in Britain, whether it is working with intelligence, policing and security services in other countries around the world, dealing decisively in the areas of the world from which these problems come," he added. "Of course the extremists, the terrorists hate democracy. They hate the idea that people should be able to chose their own government. "But we mustn't let democracy, freedom, the rule of law - things we hold dear, the people of Tunisia hold dear - we must not let them be defeated or undermined by extremists and terrorists." Mr Hammond, who is in Nairobi, told the BBC British consular staff were helping Ms Adey's family. "My thoughts are with them at this very difficult time," he added. "The Tunisian people are rightly proud of their democratic transition. Cowardly attacks, such as the one we saw yesterday, must not be allowed to undermine what they have achieved." On Thursday, three people - two Spanish tourists and one Tunisian museum worker - were found at the museum after having hidden there overnight, police said. Officials in Tunisia say that more than 40 people, including tourists and Tunisians, were injured in the attack. How big is Tunisian militant threat?